Get it…hot air balloons? Adventure? The story of how Chelsea and I met is kind of funny. Last year (an exact year to this Friday might I add) I was attending a Christmas fair type of event one of my friends was helping with (there were different vendors and it was put on by the Junior League). There were also different demonstrations happening throughout the evening, and the second they did a cocktail demonstration, I shimmied my way up to the front and started snapping pictures with my phone (obnoxious, I know). As I made my way back to my friends, this gorgeous girl comes up to me and says ‘are you sweetphi?’ WHAT? Someone came up to me and asked me if I was sweetphi?! I felt so happy and giddy. Someone recognized me because of my blog?!? That girl asking the question was Chelsea! I immediately started talking with her, and asked her how she knew about my blog and she told me that she was also a blogger and was new to Milwaukee. I eagerly told her I started a group of Milwaukee Food Bloggers and told her she should join. In the sweetest way possible, she told me that she had requested to join. I told her I’d of course love to have her in the group. Upon returning home, I told my hubby ‘SOMEONE CAME UP TO ME AND ASKED IF I WAS SWEETPHI’ he thought I was joking, but I wasn’t! I then opened my computer and logged into the group admin page and sure enough…there was her request to join…and it was from about 2 months prior! OOPS! I felt so bad, I immediately emailed her and told her that the platform had changed (which it had!) and that I wasn’t notified when new members requested to join (which was true!) I felt so bad, and my hubby jokes to this day about it. Over the course of the last year, I’ve gotten to know Chelsea. She generously had me over to her apartment to show me her photography set up and her and her husband cooked me dinner. 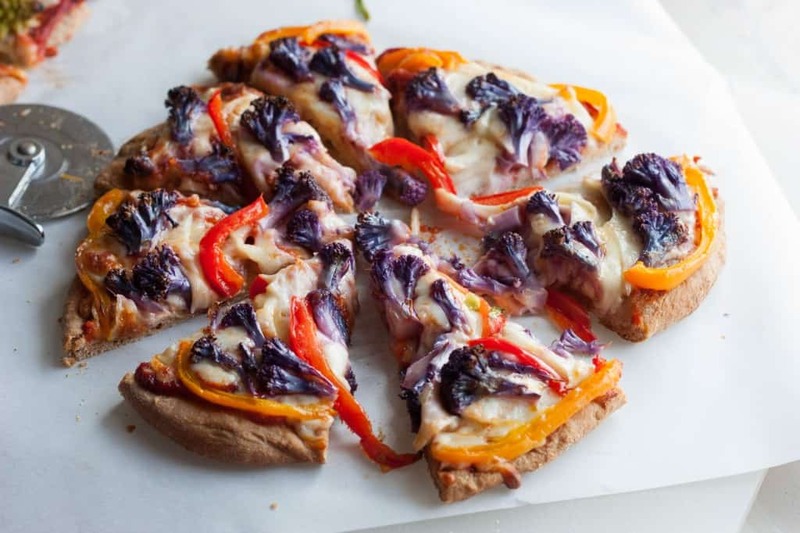 They made this delicious whole wheat pizza with roasted veggies on it. 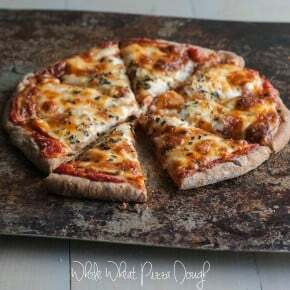 I had never had whole wheat pizza before (at least one that tasted good!) so when I was putting together this virtual baby shower for her, I just knew I had to make a whole wheat roasted veggie pizza. Side note-the first time I went over to her house I also had one of the biggest food blogger fail moments ever. 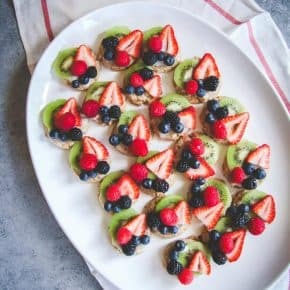 I had made these little frozen banana sundae bites following a tutorial, but by the time I got to her house they had turned into a big blob and looked like a giant pinterest fail. Here I am newbie food blogger and all, and what I bring looks not so great. On top of that, I learned that Chelsea doesn’t like bananas. I felt like a total failure, but she was so sweet about the whole thing and we’re still friends. And big props to her husband, he not only ate the banana sundae bites but he even complimented them – and trust me – there was nothing to compliment. So I just KNOW they’re going to make amazing parents! Now onto the nitty gritty of making the pizza, it all starts with the veggies: it was my first time using romanesco and purple cauliflower (both of which are available at the farmers market or I’ve seen them at Whole Foods or specialty grocery stores), and I have to say, I’m going to be using both again…the vibrant colors are so catching, and the flavors of cauliflower are ones I truly enjoyed! I used romanesco for the trees, and then used purple cauliflower and red and orange peppers for the hot air balloon outline. The dough is super simple to make, but you could also buy a crust and then cut it into shapes. I made two shapes, one for the hot air balloon and one for the trees. 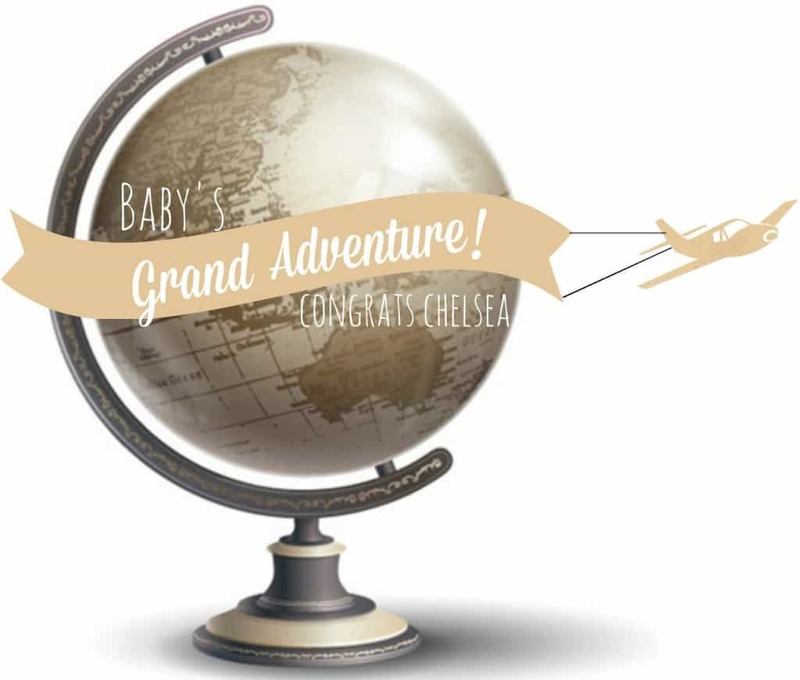 Chelsea- from the bottom of my heart, congratulations on your up coming bundle of joy! For the crust- In a small bowl pour packet of yeast and 1/4 cup warm water. Stir it once, then let it rest for 5 minutes until it gets foamy at the top. After 5 minutes of kneading, stop the mixer and form the dough into two balls - 1 bigger ball and 1 smaller ball and place in an oiled bowl for 15 minutes (it will rise after 15 minutes). Now sprinkle a baking sheet with cornmeal and on a floured surface or with floured hands stretch the dough into desired shapes, then place on the prepared baking sheet and stretch a little more, then bake pizza crusts (minus toppings) for 5 minutes, remove from oven, and then add toppings. For the toppings- clean and chop the veggies. Line a baking sheet with aluminum foil and section the sheet into 3s with the aluminum foil, then add cleaned and cut veggies each to one section of the tray. Drizzle olive oil over the veggies, then sprinkle with salt, pepper and garlic salt. 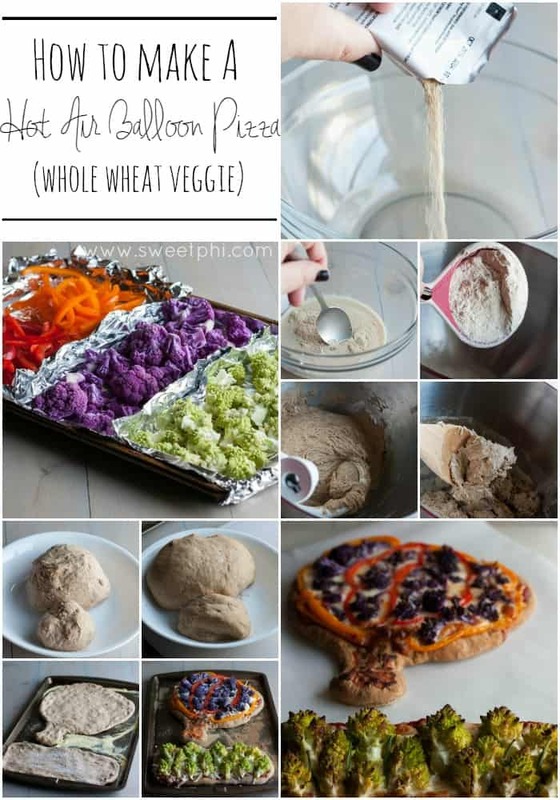 Preheat oven to 400 and roast veggies for 15 minutes, then remove from oven and set aside. To assemble the pizza- spread pizza sauce in a thin layer across the pizza dough. Then sprinkle mozzarella cheese over the sauce, and then arrange veggies as desired (I added romanesco and green onion slices to the 'trees' section and used the purple cauliflower and orange and red peppers for the 'balloon'. On the basket part of the balloon I spread pizza sauce and did not use any toppings on that part.) Bake at 450 for 15 minutes or until the edges start getting brown. Remove from oven, slice, and enjoy! What a fun idea!! Congrats to Chelsea and to you for making this creative and delicious present. You can never be wrong with pizza. Pinned! Thank you for your sweet comment Oriana! And thanks for the pin, I really appreciate it!! Awe, thanks for commenting girl! If you’re ever looking for a store that has every single fruit and vegetable ever in the area, text me, I know just the place to send you!! This is adorable! Also, I love purple cauliflower. It’s so fun to use! Thank you so much girl, and after having used purple cauliflower I am totally hooked! OMG I just LOVE this pizza…I want to go buy that produce so I can make it because honestly the colors are AMAZING! The story of how you too met is absolutely adorable. No one has ever recognized me but I can assure you if they did Matt would also never hear the end of it haha! Thank you so much for all the hard work that you put into this virtual baby shower, from organizing it, to coming up with the theme, to keeping everyone on track etc.! You are wonder woman! I so appreciate being asked to join in on this amazing virtual shower and I am so so so so happy I met you and we became so close! Now…maybe we need to make this pizza at my bachelorette party lol! You’re so sweet girl, love you! 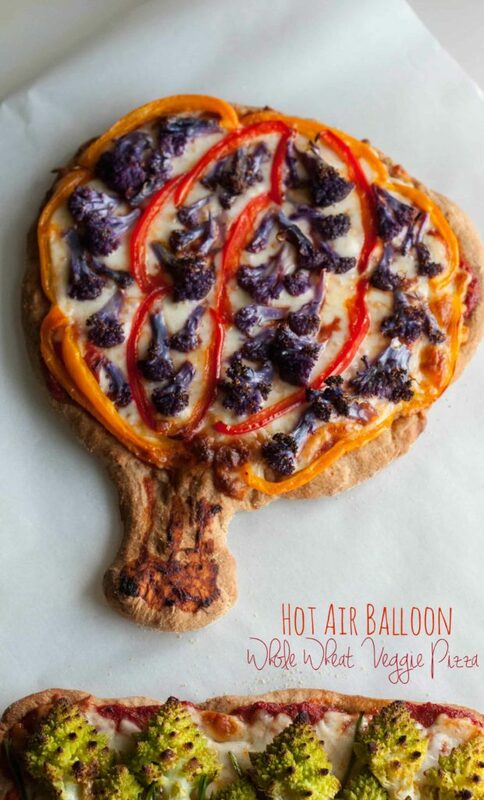 And I definitely think we need to make this pizza at your bachelorette party, I have flown cross country with weird ingredients in my carry on, I’m sure they’ll remember be and let me through security lol…don’t mind me with my purple cauliflower and romanesco! Awe you’re so sweet, thank you for commenting 🙂 I too always love hearing how bloggers meet, maybe we’ll meet in real life one day! Adorable!! And it looks sooo delicious and light! Thank you so much! This pizza was definitely delicious and light! 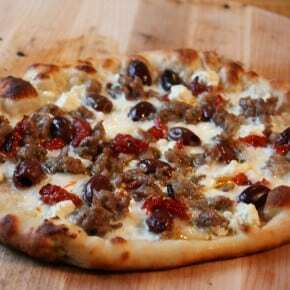 I loved reading how you and Chelsea met and became friends… and this pizza looks and sounds absolutely scrumptious! I’m a sucker for ANY kind of pizza, and I love that you’ve shared it for this sweet shower. Thanks for inviting me to participate — I had a blast! Thank you so much for participating and for your sweet comment! This is so cute–and the colors are amazing! 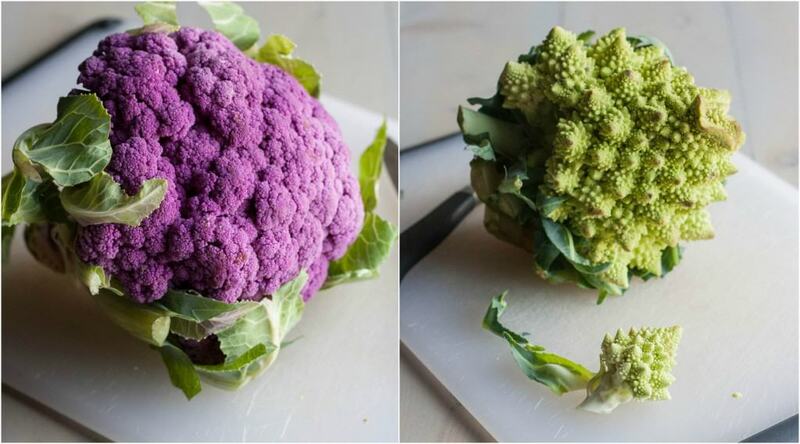 I have eaten orange cauliflower (which I love) but now I have to find some purple! Oh I totally didn’t even know about orange cauliflower, now I totally need to go find that!! This is so fun! It looks like a delicious pizza and i just can’t get over how adorable it is!!! Awe, thanks girl, totally appreciate the comment! Congrats to chelsea on her new bundle of joy!! 🙂 And how lovely of you to make this in her honor! I love how naturally stunning purple veggies are…cauliflower, sweet potato, carrots. They always amaze me. Absolutely love the hot air balloon idea too, it turned out fantastic!